The Lagoon table lamp by Heathfield & Co is inspired by natural ice, water and rock formations. 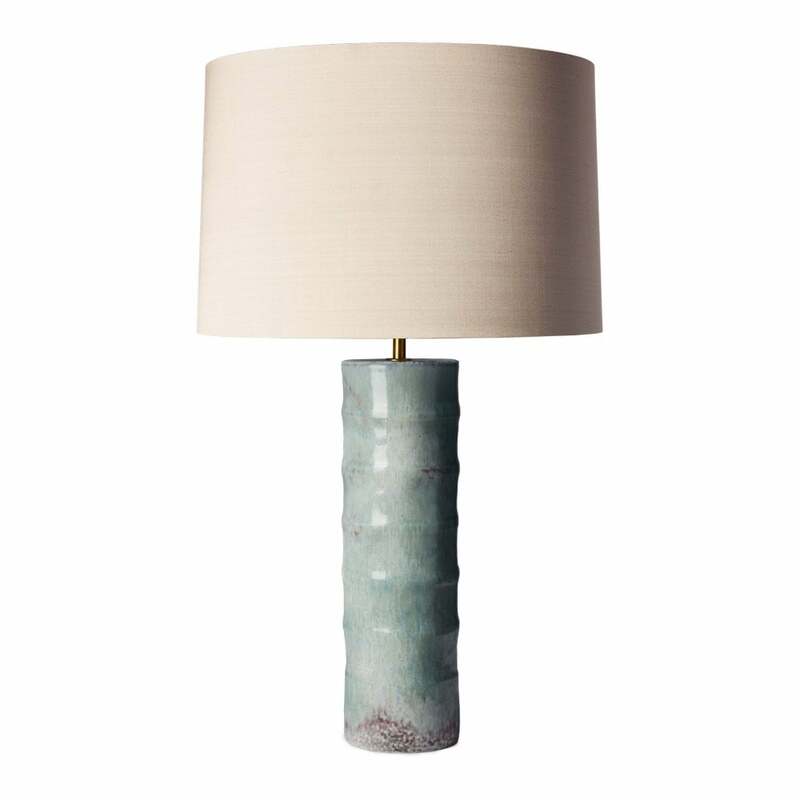 The striking reactive glaze gives this table lamp a textural sheen ensuring each individual lamp is unique. Featuring a cylindrical ceramic form, the tones of sea green, cool blue and mottled aubergine are complemented by gold detailing. Finished with a roman drum in putty silk, this luxurious table lamp looks beautiful when paired with natural, pale wood and Skandi styling. The shade is available in a wide variety of fabrics and colour options. Get in touch with our team for more information.